Blog posts tagged "Métiers d’Art"
Fresh in and already uploaded to our Database: the brand new Vacheron Constantin Métiers d’Art Elégance Sartoriale collection. The Métiers d’Art Elégance Sartoriale, a collection of five, is introduced as a watchmaking tribute to sartorialism – the world of fine tailoring. A ‘subtle combination of artistic crafts’ in the words of Vacheron Constantin, I’d prefer ‘an acquired taste’. But then again, the craftsmanship involved in the dials is hard to argue with; guilloche, grand feu enamel, mother of pearl; it’s all there. Time is indicated through on off-center dial, a feat Vacheron Constantin achieved by placing a 20mm movement in a 40mm case. Our database of Vacheron Constantin Métiers d’Art now has 67 watches listed. Vacheron Constantin just introduced the latest member of its exclusive Métiers d’Art collection: the La Légende du Zodiaque Chinois (Legend of the Chinese Zodiac) Year of the Monkey. 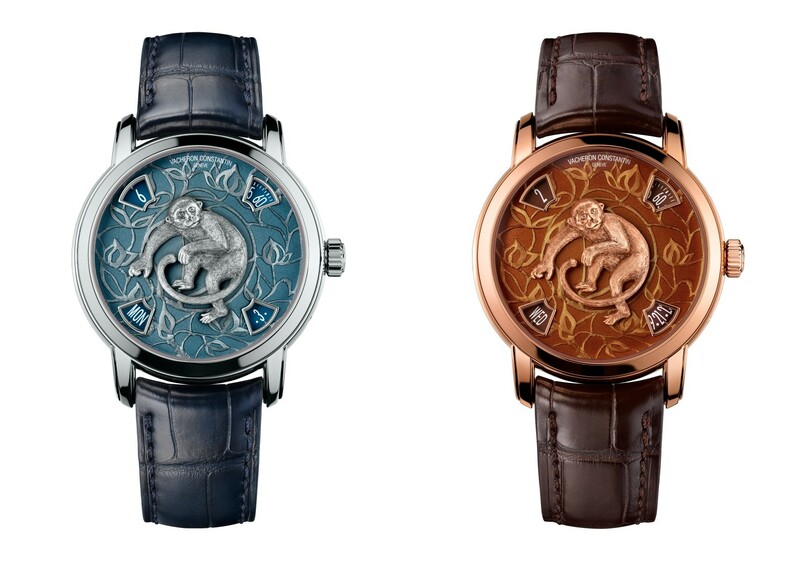 The Legend of the Chinese Zodiac Year of the Monkey is available in either pink gold or platinum; both are limited to 12 pieces only. The former features a bronze-toned grand feu enamel dial, while on the latter the grand feu is done in cool blue. Find our more details of the Vacheron Constantin Métiers d’Art La Légende du Zodiaque Chinois Year of the Monkey in platinum or pink gold on WatchBase. Our archive of Métiers d’Art watches currently holds 58 watches and is going strong!